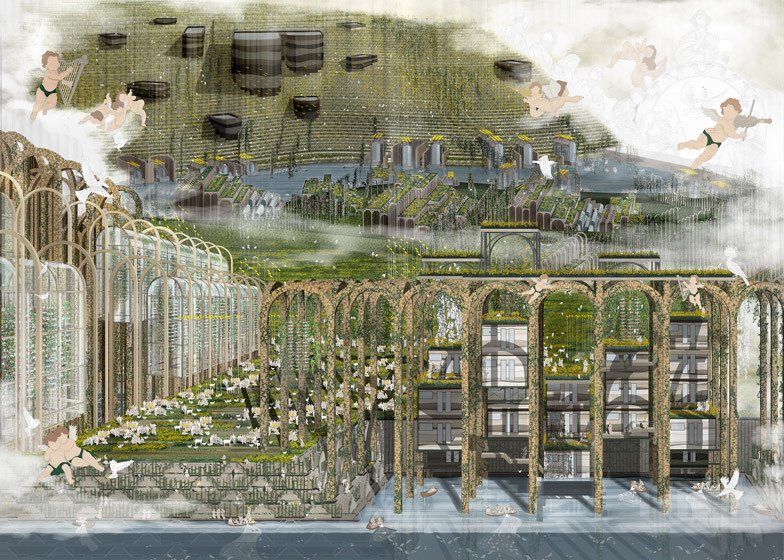 Graduate shows 2015: Bartlett architecture graduate Lauren Fresle has envisioned a water city in Israel where Jewish and Muslim communities live peacefully together against a backdrop of huge stepwells and cisterns (+ slideshow). 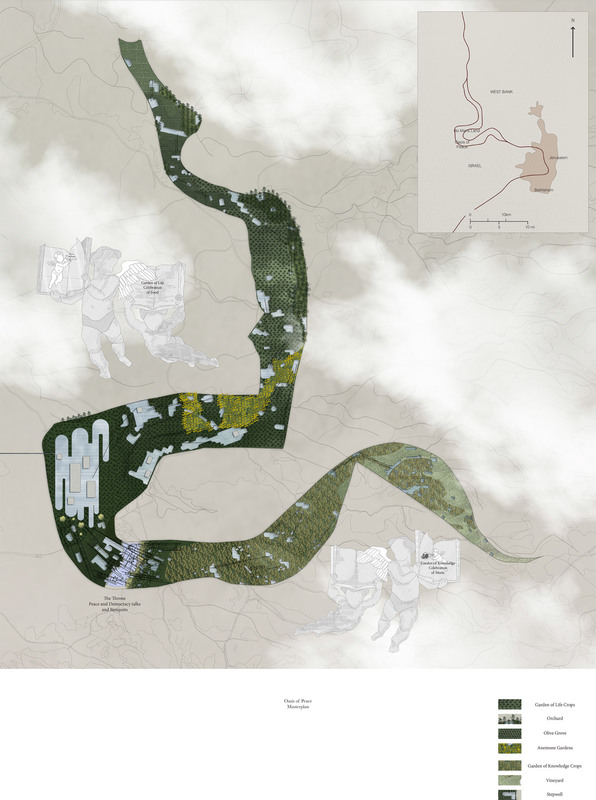 Through a series of intricate drawings, Fresle has reimagined the Latrun salient – a former no man's land that is currently under Israeli occupation – as a model city for peace, sustainable agriculture and water resource management. 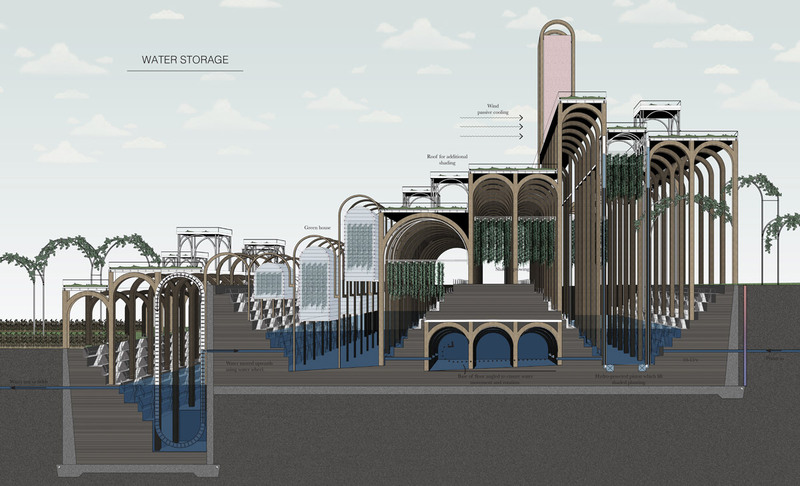 The concept addresses the ongoing threat of water shortage in the Middle East, which has been a major issue since the 1970s, by proposing a community that treats water as a valuable shared resource. "As water is key to the environment and our survival, there is a risk that political conflicts in areas with limited water resources will be critical," explained Fresle. "Many predict that there will be an issue of serious dispute over water resources between Israel, the Palestinian Authority and Jordan." "This project illustrates how provision of sufficient water can bring peace to communities by demonstrating sustainable methods to ensure water resources are managed efficiently," she added. The project is named Oasis of Peace after an already existing community of around 200 Jewish Israeli and Palestinian Arab Israeli citizens living together between Tel Aviv and Jerusalem. 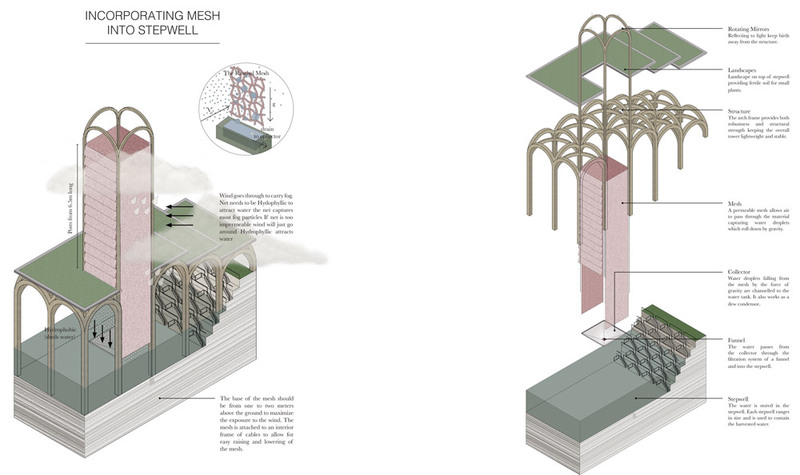 Fresle imagines the Latrun salient area as a bicultural and bilingual city that invites communities from all countries, local and global, to learn how to harvest rainwater and fog vapour without impacting on natural resources such as mountain aquifers and lakes. The shared need for water would help overcome political and religious differences. 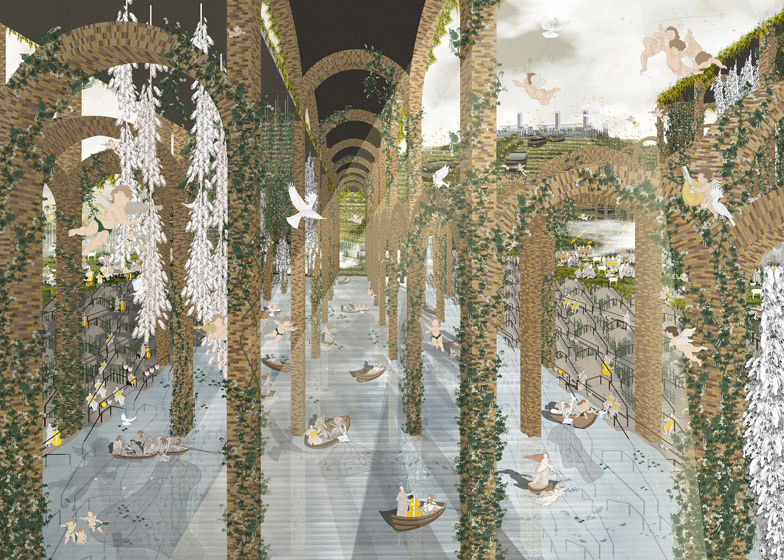 The three main spaces within the city are the Garden of Life, the Garden of Knowledge and the Throne – all biblical references. The Garden of Life focuses on food and agriculture, with facilities for growing fruit and vegetables, and for rearing goats and chickens. 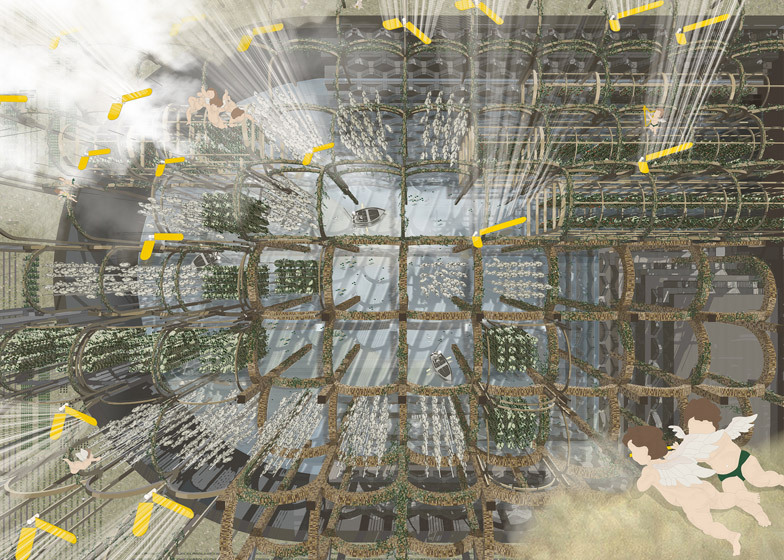 The Garden of Knowledge is the home of a university of peace, while the Throne is a strip of water where global peace talks take place over a banquet. Stepwells and cisterns are the main architectural features of these areas, drawing inspiration from ancient Indian structures. 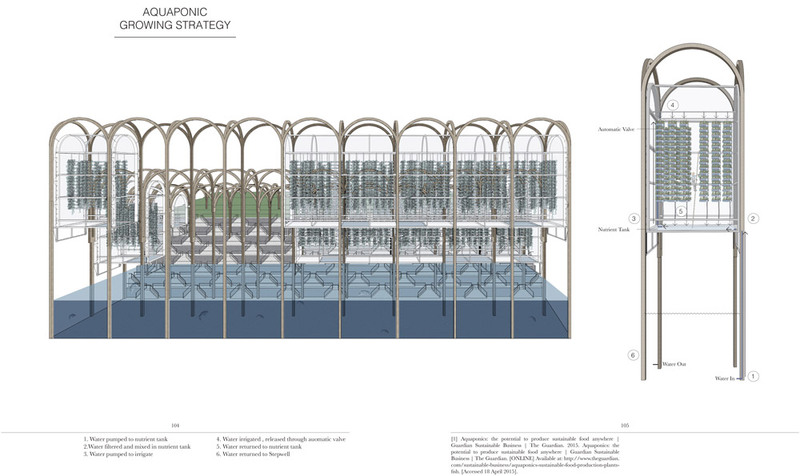 There are also aquaponic greenhouses, as well as barges containing embassies and charity headquarters. "Cooperation over water can be used as a tool for conversation to bring countries and communities together," added Fresle. "Through working together a communicating peace can be achieved." 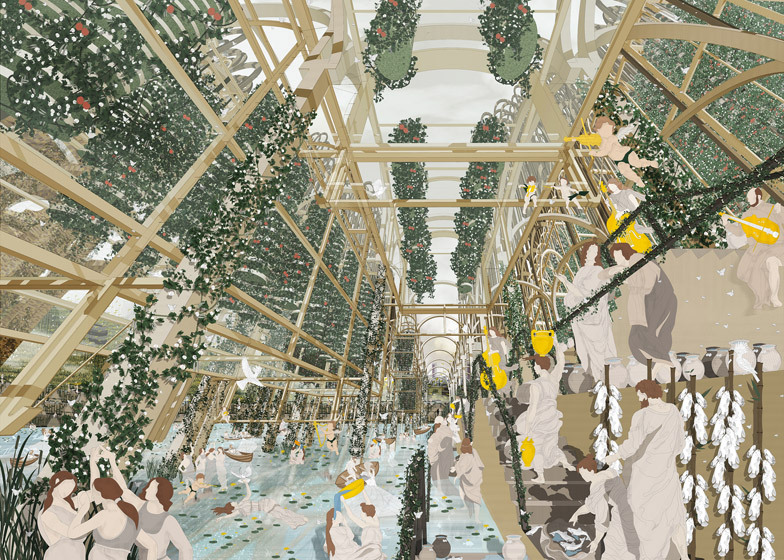 The designer completed the project as part of Unit 10 at the Bartlett School of Architecture in London. 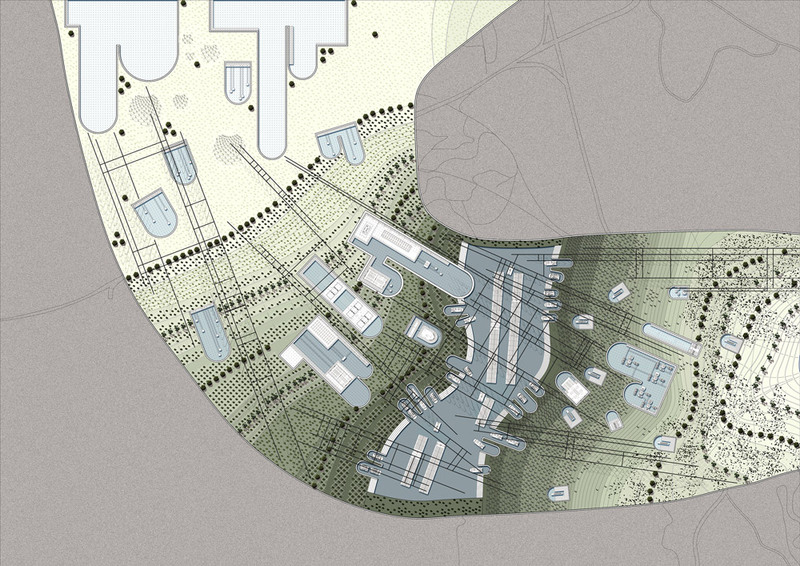 Led by CJ Lim and Bernd Felsinger, Unit 10 is the school's most drawing-focused programme. 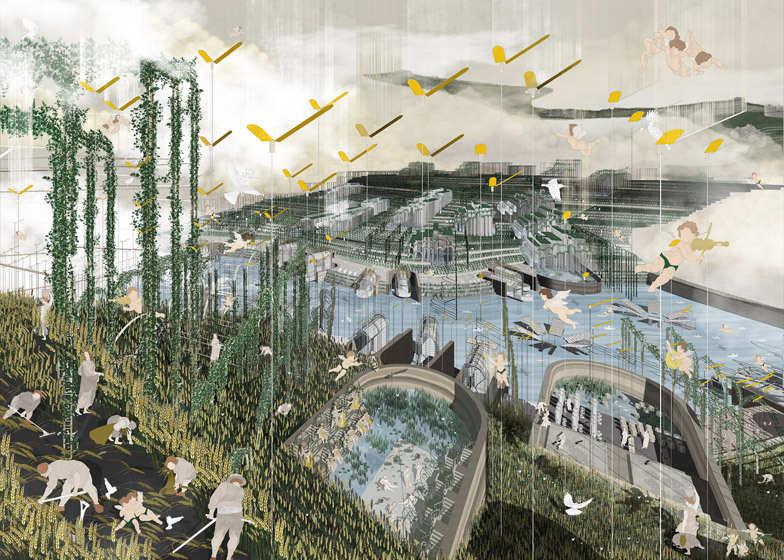 Projects from previous years include a landscape overlaid with scenes from Winnie-the-Pooh, a vision for recreating spring in Tokyo and a future scenario where London grows a jungle of crops.